The Caddis brand has stood for quality for many years. All Caddis Wading Systems products have a one year manufacturers warranty. 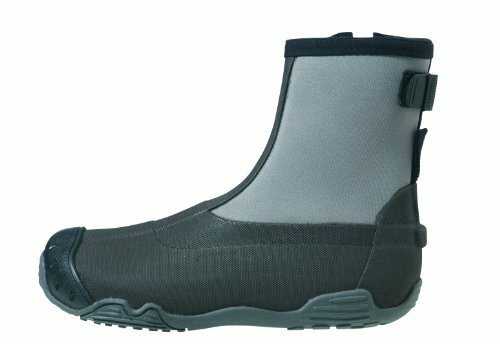 This Northern Guide Wading Shoe comes in an attractive dark brown and taupe color. The foot area has a dark brown rubber reinforced upper area for extra support and strength and an additional reinforced toe and heel area. The heavy duty side zipper makes for easy on and off, with a side ankle take-up strap to keep them on even in muddy terrain. The extra thick grip soles are great for sand and mud, with a cushioned insole for your comfort. Caddis Northern Guides set the highest standards.